If you want a city break or weekend escape that takes in a provincial or regional capital with culture, architecture and heritage, see our two suggestions below. Both have numerous links to the attractions the cities have to offer, plus some ideas about costs and links to information about hotels, flights and if you require it, car hire. 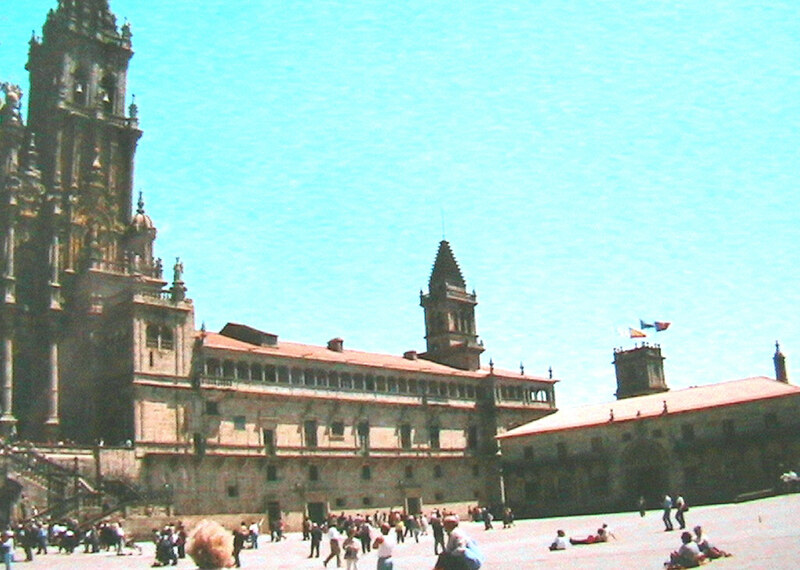 Santiago de Compostela is the capital of Galicia. It has international monument status for the whole of the old town and possesses arguably the most impressive cathedral on earth. It has been designated a European city of culture and is the final destination for the world largest Christian pilgrimage, The way of Saint James (Camino de Santiago). Santiago de Compostela can be explored on foot (ideally in two days) and without the need for a car. It has numerous tourist offices dotted around the city with language support in English, German and French. Its Gothic, Baroque, Neo-Classical and Romanesque buildings, monuments and plazas are unsurpassed. It has a cosmopolitan air with cultural tourists visiting the city from all over the world. Santiago de Compostela has its own airport 10 minutes outside of the city and the international airport at la Coruna (35 minutes away) is serviced by direct flights from Heathrow (through Iberia/Opodo). We can offer you a selection of no less than 34 hotels (covering all price ranges) in and around Santiago and a car, if you need one, can be picked up directly from either of the airports above. More information below these sponsored advertisments. 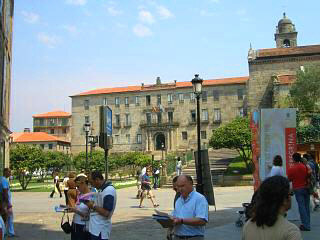 Pontevedra is the capital of the southern Galician province of the same name. Originally a port town and granted Royal charter, Pontevedra has arguably the best medieval quarter in all of Galicia and its plazas, coffee and tapas culture are famous throughout Spain. Visitors to Pontevedra can expect to find a city built around a river with a myriad of small streets linking through the old districts many squares and courtyards. Myths and tall stories also surround some of Pontevedra's architectural features and the city has an extended festival season that runs, almost continuously, from July to the end of August. To add variety to a Pontevedra short break you can spend time in Galicia's biggest city Vigo, or visit the exclusive beach resort of Sanxenxo, both no more than half an hour away. Train services connect Pontevedra from la Coruna and Santiago de Compostela and the neighbouring city of Vigo has an airport. We can offer you the choice of 4 hotels in Pontevedra, 8 in Vigo and 13 in the beach resort of Sanxenxo. Use the brown link buttons above to obtain price and booking information for each city. Flights from the UK can start from as little as £40 return for advanced bookings. Iberia (booked through Clickair) fly direct from Heathrow to la Coruna, whilst Ryanair depart Stansted for Santiago de Compostela. Flight time is less than 2 hours. Ryanair flights tend to be early in the morning and are a good cost saving option. Car rental (including CDW) can start from under £20 per day. Ensure you include daily excess cover as the Galician drivers are poor. Hotel costs vary depending on the location and quality of the accommodation. Our hotel links genuinely do take you to Galicia's biggest selection of hotels and you should be able to find exactly what you are looking for at the best price.